Well friends, after nearly 4 months wait, it's finally here! 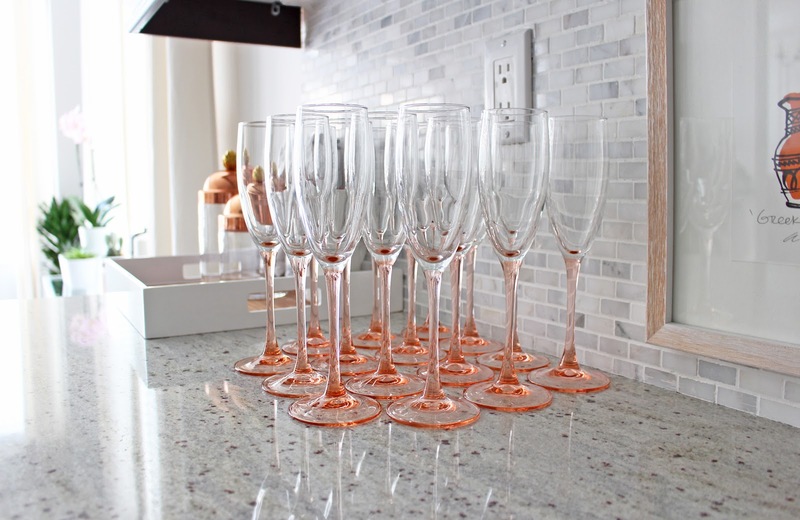 ELTE told me they had 50 pieces in this time, so go get it if you are interested before they get snatched up. 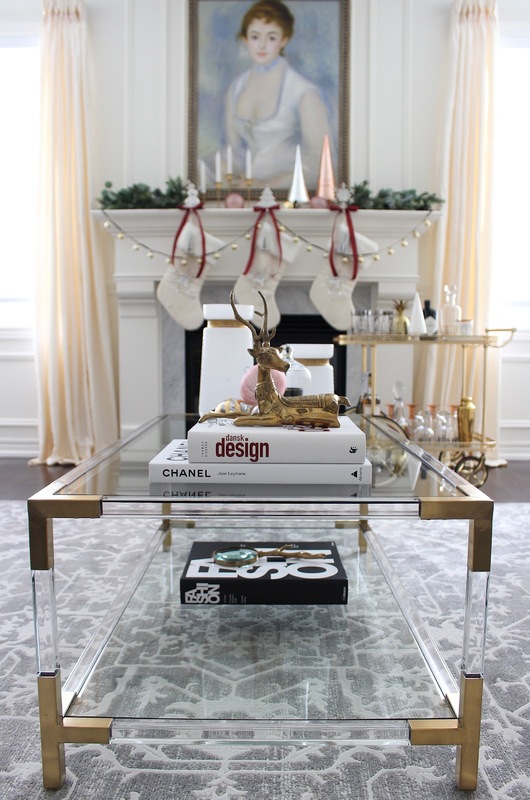 This coffee table is one of the designers' faves so they do sell very very fast. 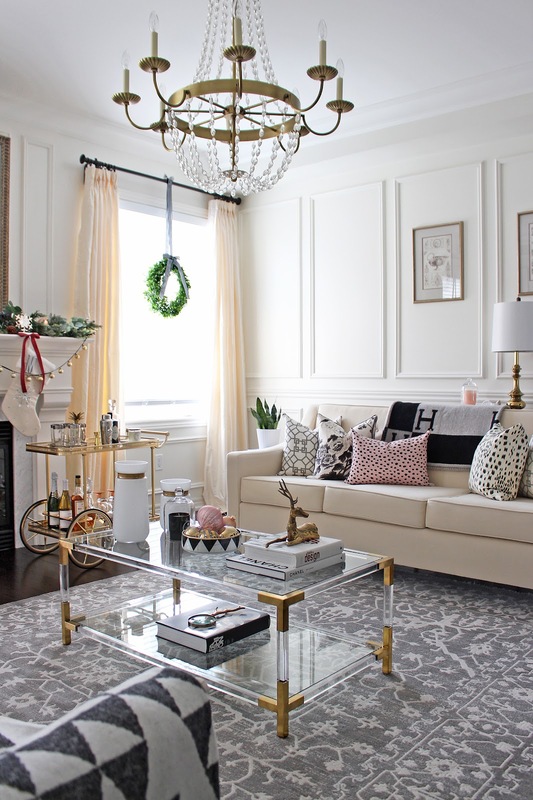 After a domino effect of change, from the ceiling light (and the ceiling itself), to the drapery, to the area rug and finally the coffee table, I am very happy with how this room has transformed and come together. For those who are following my Instagram feeds, a couple of weeks ago I shared this picture below as a sneak peek at my 2016 holiday decor theme. It's going to be a collection of my favourite colours, textures and shapes. Can you tell I am really into pink and feminine hues this year? 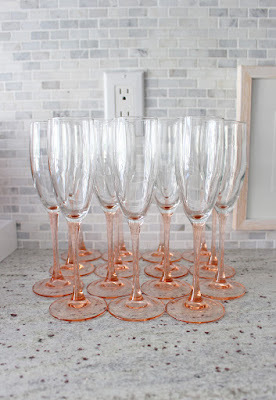 Speaking of pink, I've been on the hunt for a set of these vintage blush pink Luminarc champagne flutes for the longest time. From time to time I saw a pair or two for sale on Etsy but they could get very expensive if I was to acquire them two at a time. 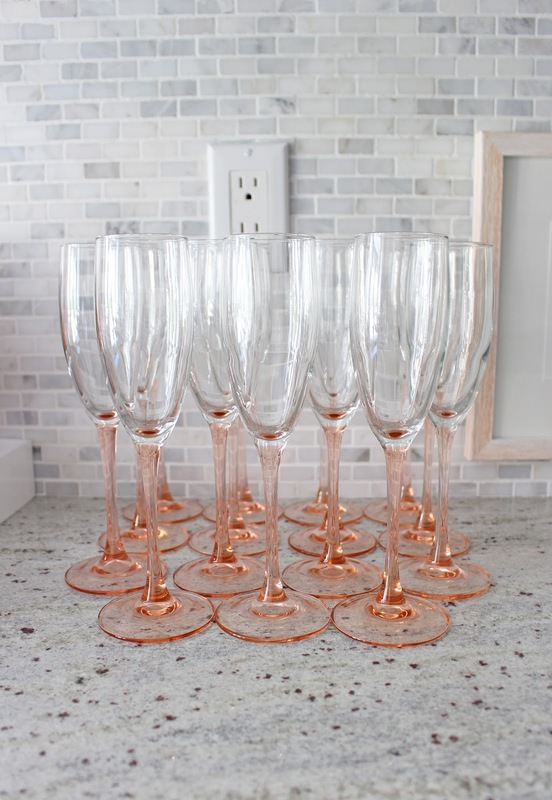 Then one of my Insta friends Jen (@jenc184) mentioned she has a large collection, and she would give up over a dozen of these flutes for me. Each one of them was in mint condition, and I've just been over the moon about how gorgeous they are. They will be put to good use this holiday season. 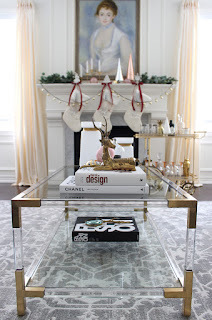 I will be back to do a Christmas home tour soon.